SEO is an essential marketing tool in today’s digital world. The digital environment continues to evolve and expand rapidly, affecting the competitiveness and complexity of the SEO arena. Firstly, you can check to see if you have relevant and searchable keywords on your page. 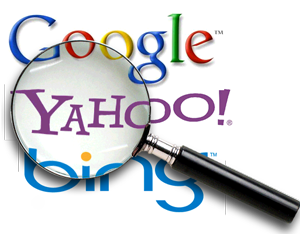 Keywords are essential for search engines. When coming up with keywords, think in terms of what people may be looking for on your website. A tip for when creating keywords is to make them broad enough so that they are searchable, but also specific enough so that it is relevant and would appear in searches. 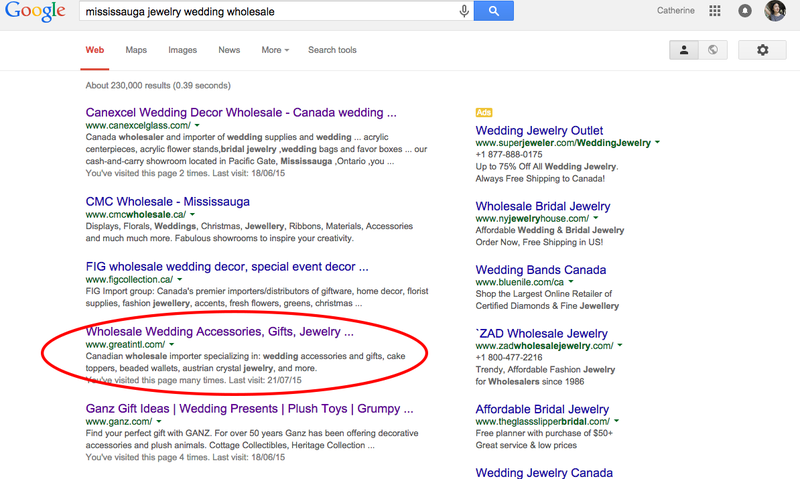 With this knowledge, I was able to have Great In International’s website listed on the front-page search for “Mississauga jewelry wedding wholesale”. Before, it was not searchable on Google. A very simple way to improve your SEO score is to customize tags for each page on your site. These on-page factors are thought to constitute 30% of algorithm value. Tags include keywords that can be created using Social Media hashtags, Youtube and other CMS tools that have tagging features. When it comes to websites in general, tags can be viewed by right clicking on a web page and then clicking “view page source” -in which you will find codes with embedded tags. A shortcut for finding tags is entering “command + f” (for mac users) and then type the tag that you’re looking for in the search box that appears. An example of an important tag is the “title tag”, which is found between <title> </title>. This is the title of the page that appears on your web browser’s tab. Customizing your website’s tags involves adjusting the html content on your webpage. 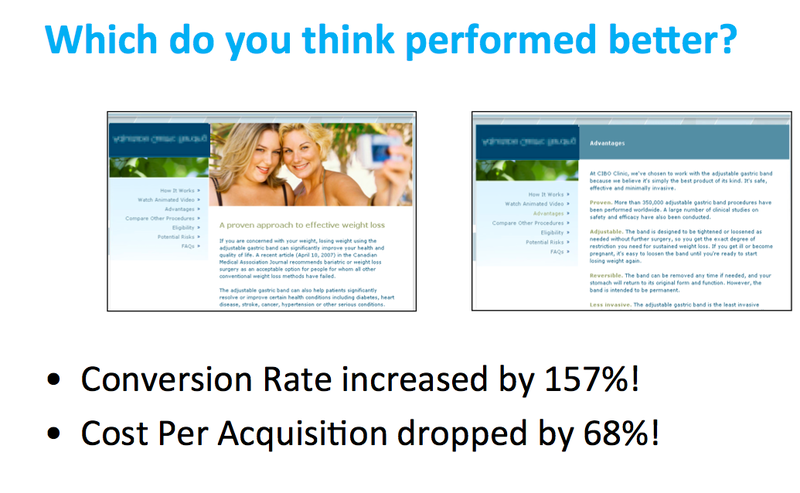 Keep in mind that all other in-page elements are mere fractions of a % … time is better spent on off-page factors or building more quality content! 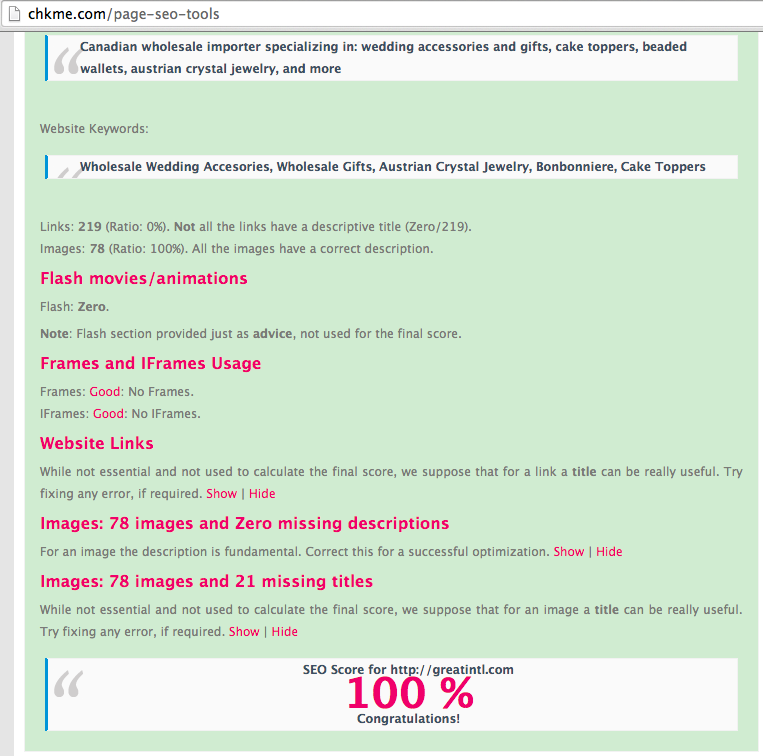 Having said that, I achieved a 100% SEO score for greatintl.com by customizing tags alone. Apparently, 90% of the population doesn’t like to read (for proof, my “Father’s Day Cheesecake” photo garnered more FB likes than my written blogs -_-) … So, it’s important to have nice pictures as well as a heading that captures their attention. The user experience should be easy, friendly, and navigational. Using “call-to-action” is an effective way to grab people’s attention and to show how you could benefit them if they were to subscribe or use your product, for instance. Slide from my SEO course. 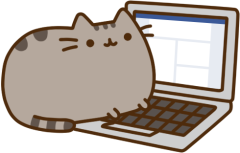 However, you can learn how to use these tools for free with some of Google’s online courses.